Give them something special this year. Valentine's Day is fast approaching, and while many Valentine's Day gifts will involve flowers or hearts or jewelry, another great way to someone's heart is through their stomach. Now you can surprise your significant other with some of the best Valentine's Day gift ideas this year. Whether something sweet and desserty, or spicy and savory, or even a great cocktail, there are many fun ways to say you love someone. And you don't even need to heat the stove up to cook up something great. That's why these edible Valentine's Day gifts are a great place to start. Everything can be ordered online, so be creative. You can have a drink with your valentine this season, even if they live hundreds of miles away. These gourmet treats are dairy-free, vegan and kosher. 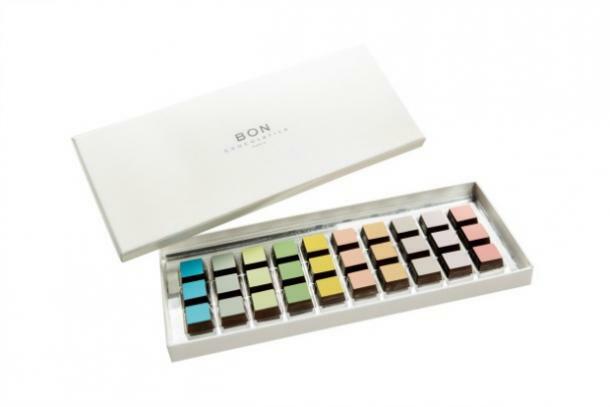 BON Chocolatier also sells custom chocolate gift boxes, which can include chocolate bars, chocolate pretzels, Rocher hazelnut, strawberry bark, and pate de fruit (fruit paste squares), making every chocoholic’s dreams come true. 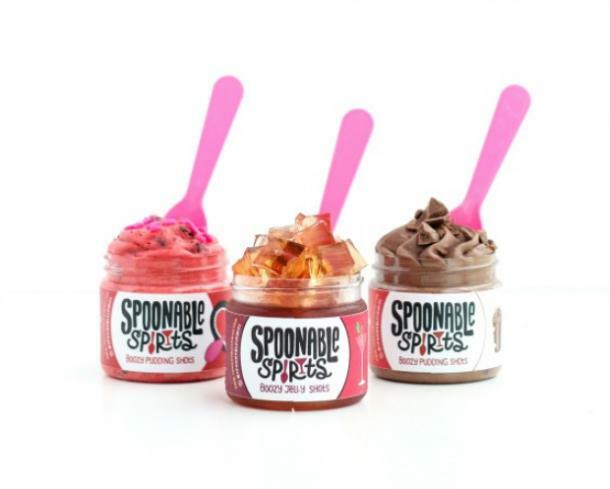 Spoonable Spirits is doing a booze-infused pudding for Valentines with 5 percent ABV. It includes six jars in an insulated gift set, including the flavors Red Hot Velvet Shot, Naughty Nutel-Latte, and Cranberry Cosmo. 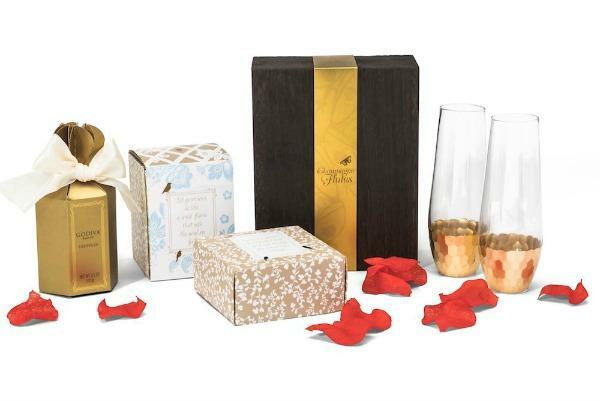 Night in with Godiva has everything you need: the rose petals to place on the bed, the chocolates to tantalize the taste buds, and even a candle to set the mood. All you need to do is pick up a good bottle of champagne and turn on the charm. 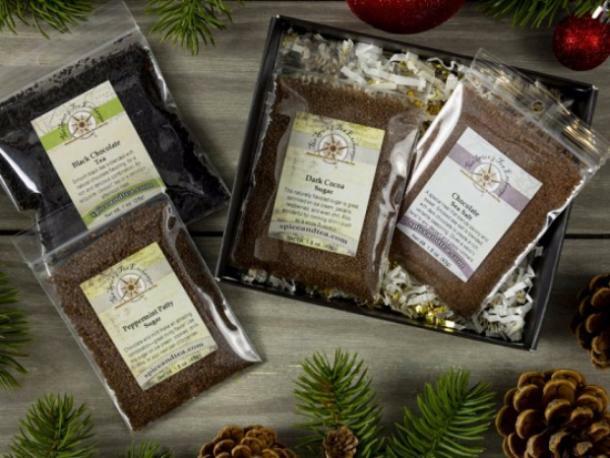 The special someone in your life will appreciate an assortment of delicate, chocolate-infused sugars and salts such as chocolate sea salt or peppermint patty sugar. Feel free to add to your coffee, tea or even dessert. 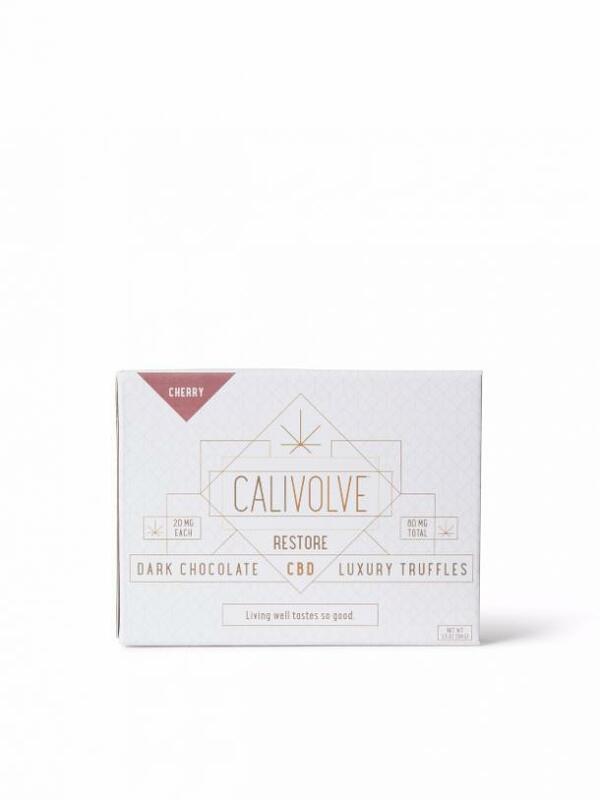 Restorative, nourishing and covered in dark chocolate, Calivolve's Cherry Truffles pair dark chocolate CBD with seasonal, organic cherries for the perfect, handcrafted truffle that promotes calmness and clarity while reducing anxiety. 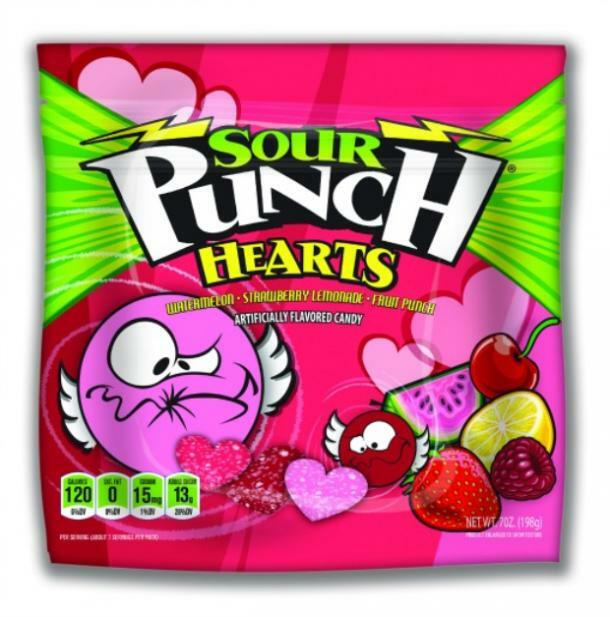 New for Valentines 2019, Sour Punch has these new heart shapes. These bite-sized heart shapes come in an assortment of 3 delicious flavors: watermelon, strawberry lemonade, and fruit punch. The most interesting part are the exclusive new flavors that are only available in this assortment. The funniest gift of the season! Saturday Night Live fans will love this exclusive set filled with best-sellers from the SNL x IT'SUGAR collection. 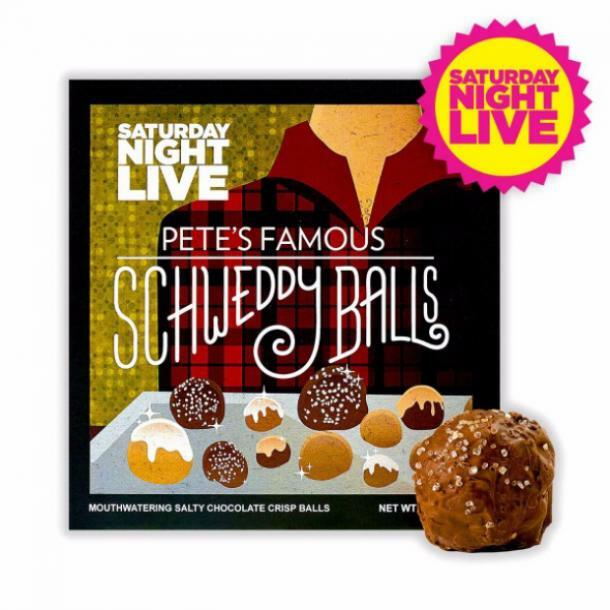 Gift box includes candy boxes based on iconic Saturday Night Live sketches such as Pete's Famous Schweddy Balls, Colon Blow, and the Ambiguously Gay Duo. 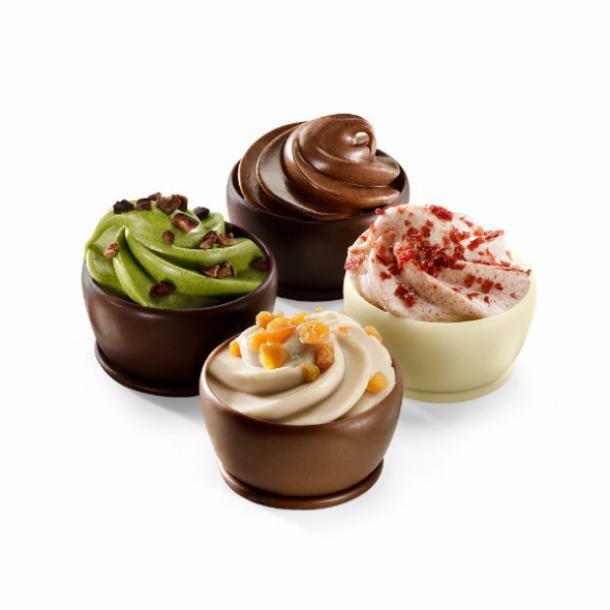 In honor of Valentine’s Day, Godiva is debuting their limited edition Cupcake Collection, featuring six beautiful, premium white, milk, or dark chocolate cups brimming with indulgence. 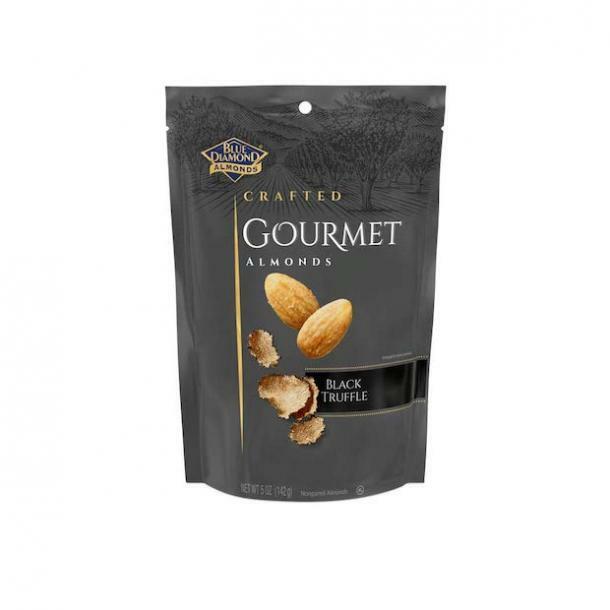 Each single-serving piece is delicately filled with delicious tiers of nutty praline, smooth ganache, or a flavorful mousse. 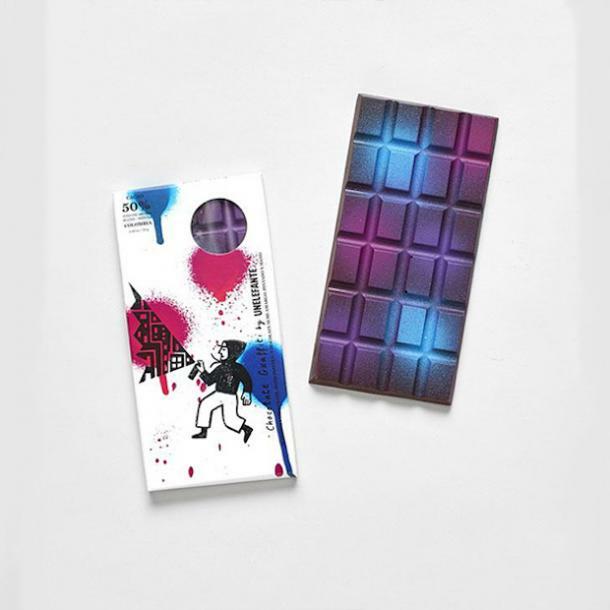 This Chocolate Graffiti bar is made from single-origin cocoa from Columbia, and has a smooth chocolaty taste with a sweet fruity fragrance with a hint of nuttiness. Each bar is hand-painted with colored cocoa butter for a one-of-a-kind look, making it the perfect Valentine's Day chocolate. Invite glitz and glamor to your Valentine's Day with this set of four lollipops. 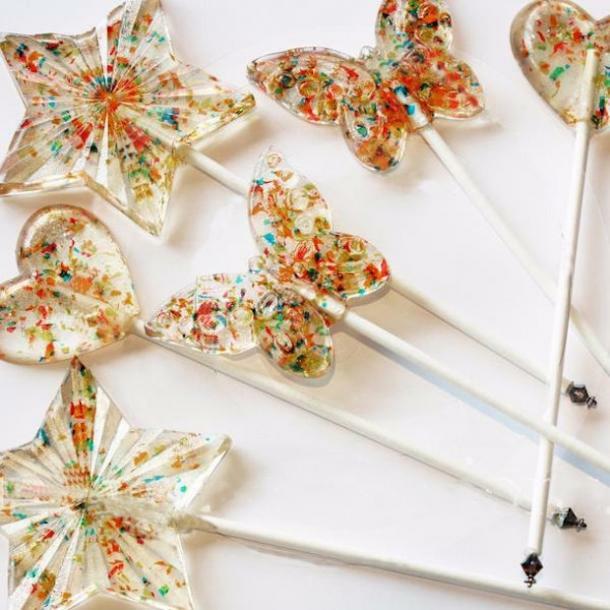 Adorned with genuine Swarovski crystals, these pretty lollipops shine and shimmer with edible sparkles and a pearl back. If you’re looking for a fun Valentine’s date activity, a delicious dinner AND a cozy night in, Made In and Banza have got you covered. 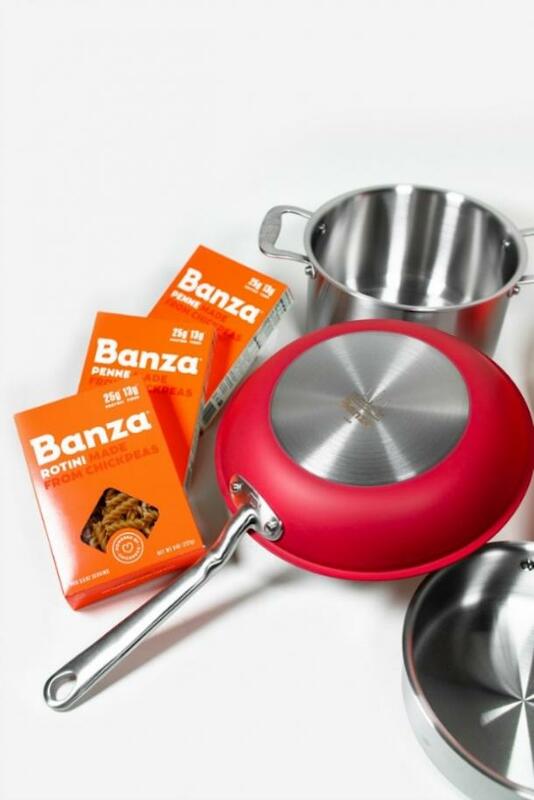 This limited edition dinner kit includes every pan you need to make every part of your romantic pasta dinner: a 5 QT Stock pot, a 2 QT Saucepan, a limited edition red 10” Stainless Steel Fry Pan, Made In’s new Universal Lid, and three boxes of Banza. This perfect curated dinner will be nearly as beautiful as your Valentine. 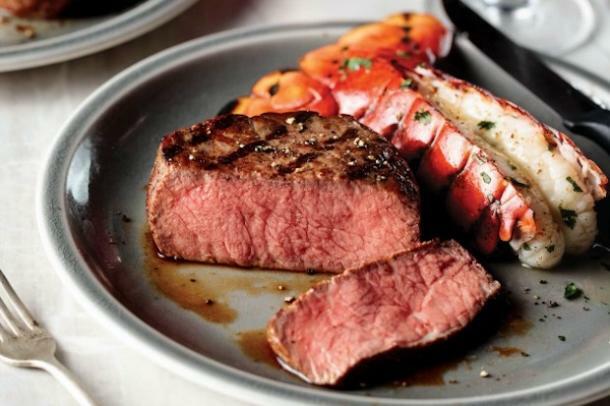 Featuring the brand new exclusive Omaha-Cut Ribeye alongside succulent whole Lobster Tails and easy, creamy Potatoes au Gratin. And make sure to hold some room for dessert, because you won’t want to miss out on the new, award-winning heart-shaped Raspberry Swirl Cheesecake. Made with a myriad of different floral components, these aromatic bitters taste and smell like Spring. If floral is your thing, these are the bitters for you. Subtle notes of chamomile, hibiscus and orange blossoms lay beneath primary notes of rose, jasmine and lavender. Not ready to give a gold ring? 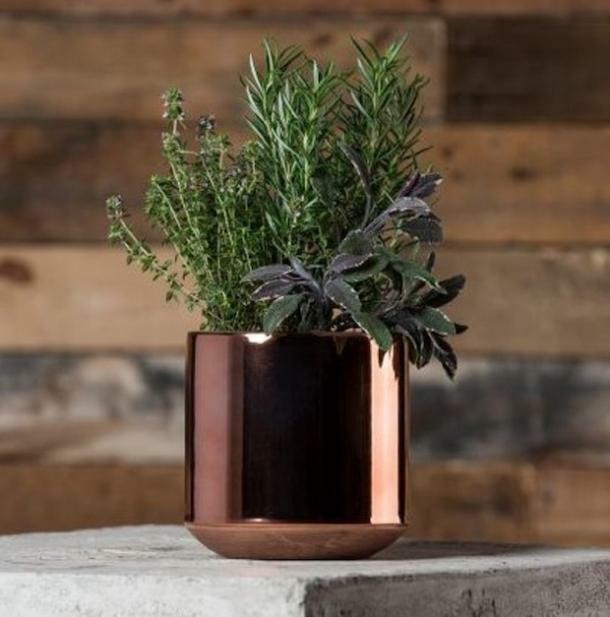 Consider this bouquet of fresh sage, rosemary, and thyme in a shiny rose copper pot for the girl who loves to cook. Ready to snip and use, it will look chic sitting on her kitchen counter, windowsill, or dining table. 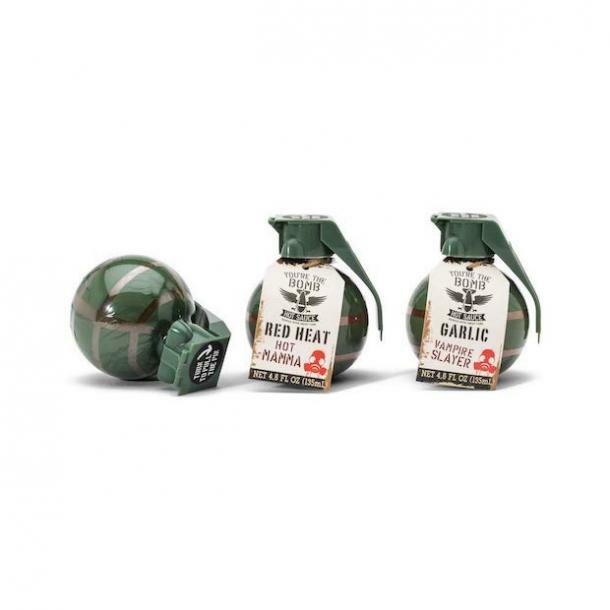 This is a fun take on a Valentine’s Day gift and the perfect way to show someone you think they are “the bomb”! These delicious, gourmet hot sauces will unlock hidden and subtle flavors in all of your kitchen creations. Available in both bottles and cans, the Rosé All Day is a Grenache from the Languedoc-Roussillon region of France. It is crisp and perfectly romantic but light for Valentine’s Day. 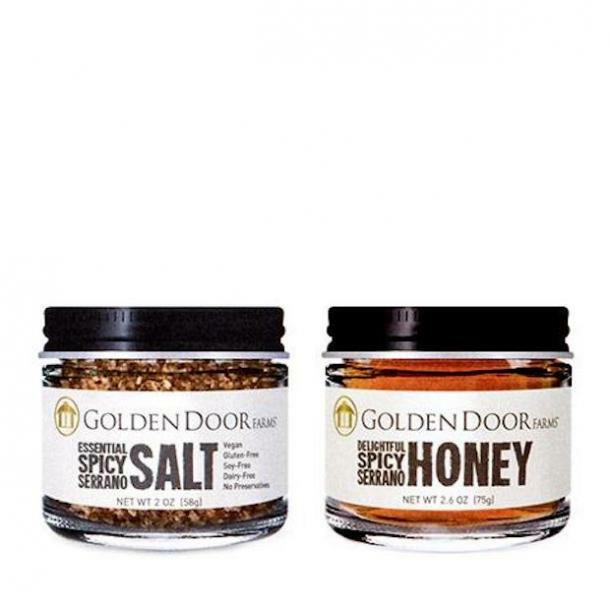 Spice things up with this kit that includes Serrano Salt and Serrano Honey, which can be used in a million different ways, from spicing up popcorn to drizzing honey on your homemade pizza. A rich, rounded, bronze beauty, Sugar Island Spiced rum offers opulent vanilla and caramel flavors, accented by notes of warm cinnamon, nutmeg and clove. 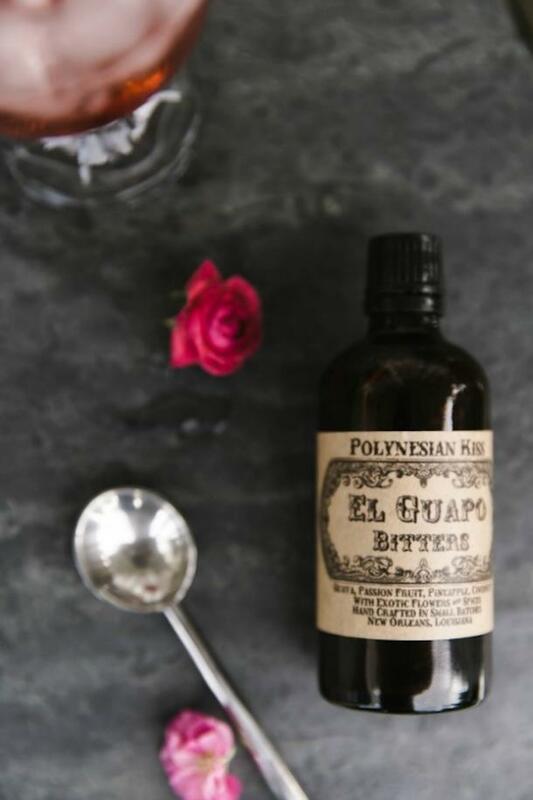 It’s a beautiful balance of natural sugars and spices, so it’s smooth enough to sip straight, and strong enough to add a spicy touch to festive cocktails on Valentine’s Day. Whether you are popping the cork to celebrate a new love interest or your best Galentines, this sparkling Chardonnay boasts beautiful pale gold color and a trail of fine, long lasting bubbles. 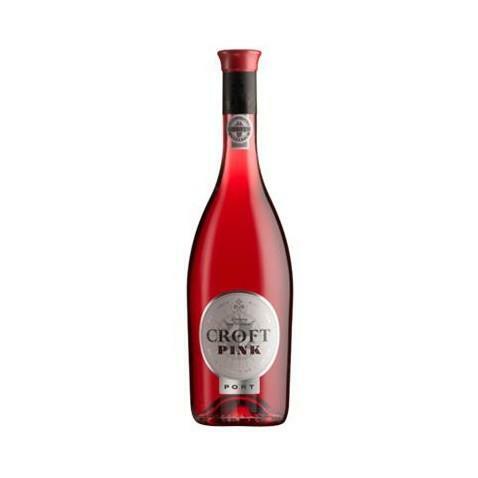 Exudes captivating aromas of white-fleshed peach and fruity notes of dried fruit and a touch of acacia honey. A 100 percent blue agave tequila that’s aged and uniquely filtered to produce an incredibly smooth and crystal-clear añejo tequila. Hornitos Tequila took its shot at producing the premium category’s first cristalino tequila so its fans can have the finest ultra-smooth tequila while enjoying dinner with their significant other. Valentine’s may or may not be the right time to pour your heart out, but it absolutely the right time to “Port Your Heart Out.” The first ever rosé Port, it is the perfect shade of pink for the holiday. Black Seed is a modern-day bagel shop steeped in old-world tradition. Available for nationwide delivery, its original, award-winning NYC bagels are boiled in honey water and baked in a wood-burning oven to achieve ideal crispness and density. 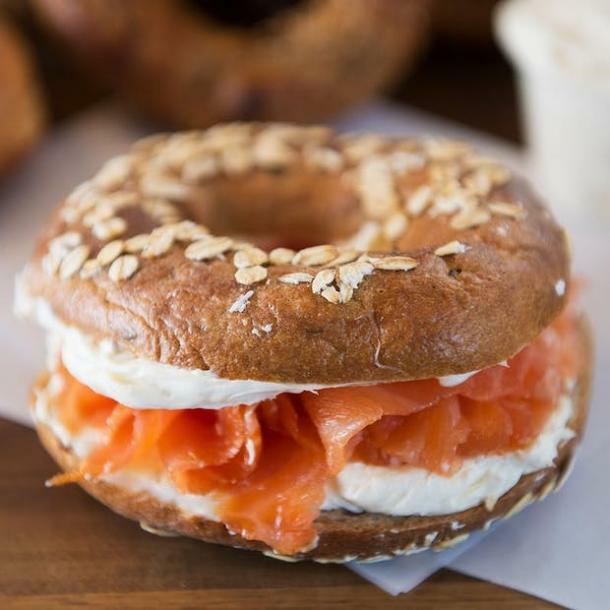 Give the gift of delicious carbohydrates with a package of a dozen freshly baked bagels, cream cheese and classic smoked salmon. 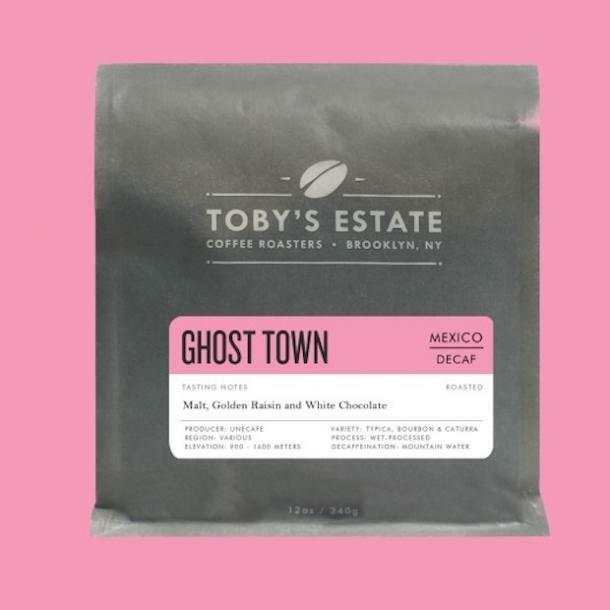 Give the gift of coffee this Valentine’s Day with exciting (and highly-caffeinated) offerings from Toby’s Estate Coffee. Have beans delivered straight to your door with the Coffee Subscriptions Programs. Choose between three curated, personalized blends, even selecting details such as grind type and delivery frequency. What's more romantic then spending time together in the kitchen? 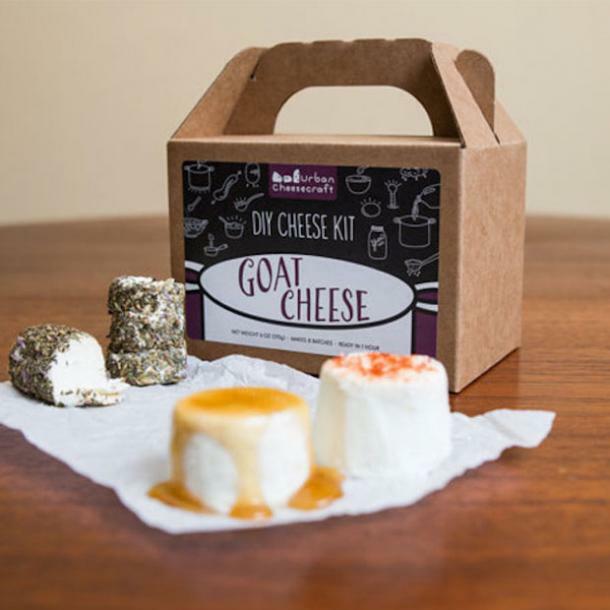 Regardless of whether your loved one is an experienced cook or only knows how to make mac n' cheese, they'll have a fun time with this DIY Goat Cheese Kit. A gift and quality time together = the best edible Valentine's gift ever. For those who have felt broken-hearted by an ex or ghosted by the Tinder date, this gift is perfect to give to the person who broke your heart. (Clever idea, no? Think of it almost as an Anti-Valentine's day gift.) 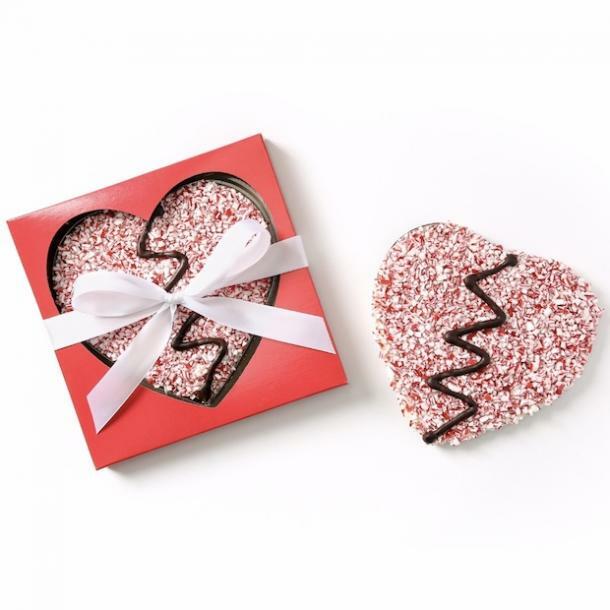 Selected as one of Oprah's Favorite Things of 2018, the heart-shaped bark features signature dark chocolate and smooth white chocolate flavored with a touch of natural oil of peppermint to enhance the chocolate flavors. Topped with crushed bits of house-made red and white peppermint candy, the heart is then finished with a giant dark chocolate crack down the center.